In early 2009, America faced for perhaps the first time, the possibility of losing one of our beloved fast-food mascots. That got me thinking, how would be mourn him, if he had passed? Where would they have the funeral? Corporate headquarters? No, they would split the funeral amongst all their franchise locations, inviting in preferred customers and local celebrities. You know, that would take a long time. Maybe it would be better to just put up a nice memorial in the drive-thru. Jack recovered, but next time we might not be as lucky. I don't know how I can stop a fast-food icon health crisis from happening again, but I DO know how to prepare for that eventuality - by building and erecting a memorial now! I bought some primed 1x3 lumber and metal ties at Home Depot. The cashier asked me what I was building. 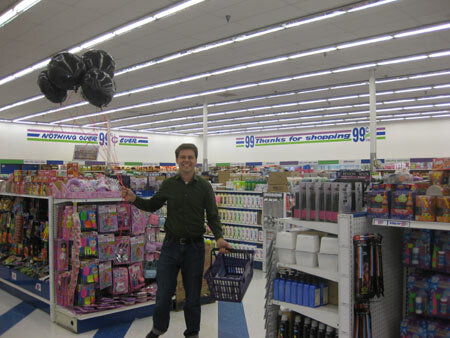 I bought frames, candles and balloons at the 99 cent store. The cashier asked me what I was celebrating. 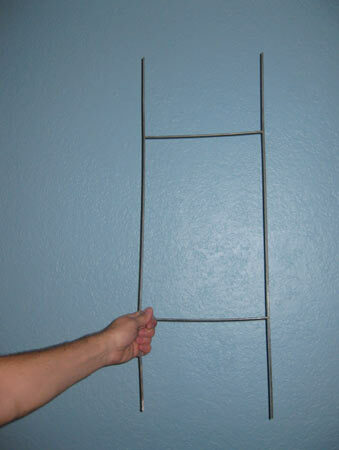 These simple wire sign holders are available all over Sacramento, holding up WINDSHIELD REPAIR, WE PAY THE DEDUCTABLE signs. 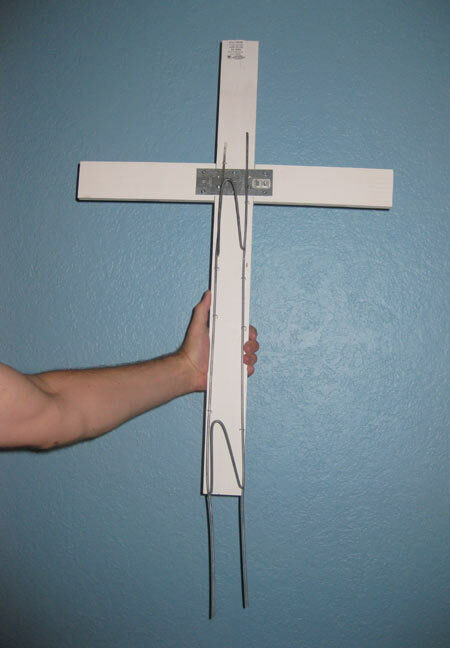 With two bends and a cable stapler, they become perfect supports for these memorial crosses. 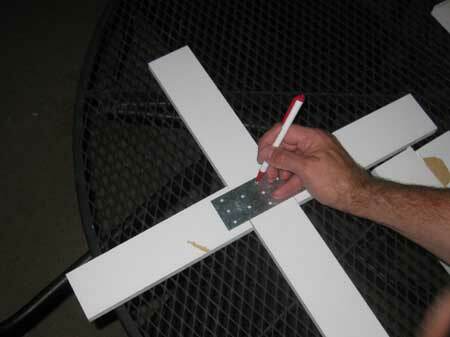 After a little spackling, I gave the crosses a coat of white paint and carefully prepared to paint names onto the crossbar. My hand-painted lettering looked a bit too perfect so I hired a talented seven year old to do it instead. The framed photos looked fantastic. 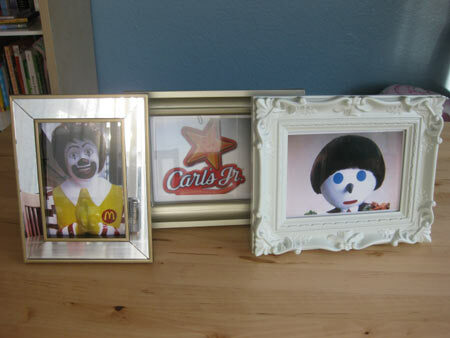 I was lucky to find photos which reflected our fast food heros when they were at their prime. Let's remember them like this, OK? Please continue reading Page 2 of the Drive Thru Memorial Prank. Home | Contact Rob | May 15, 2009.